Shown in 629 Bright Stainless Steel finish. 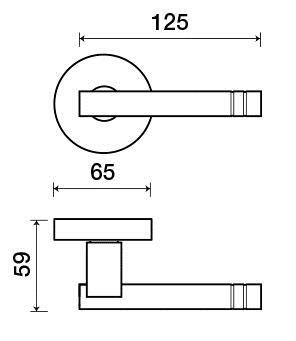 Lever with 65mm square rose for standard tubular 2-1/8" door prep. 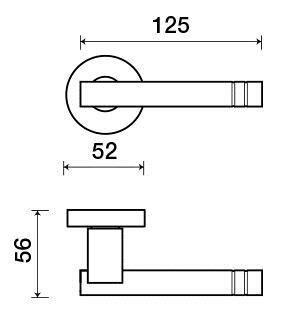 Lever with 54mm square rose for mortise and custom tubular door prep. 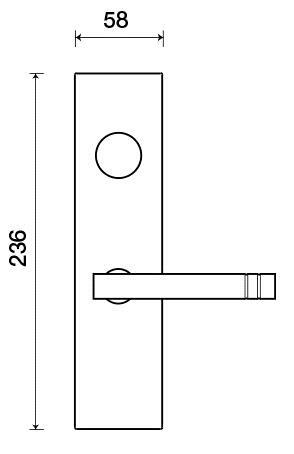 Lever with plate for mortise functions.